Could Stellaland still be with us as a ‘fossil’ embedded in a farm boundary somewhere? We love old maps. 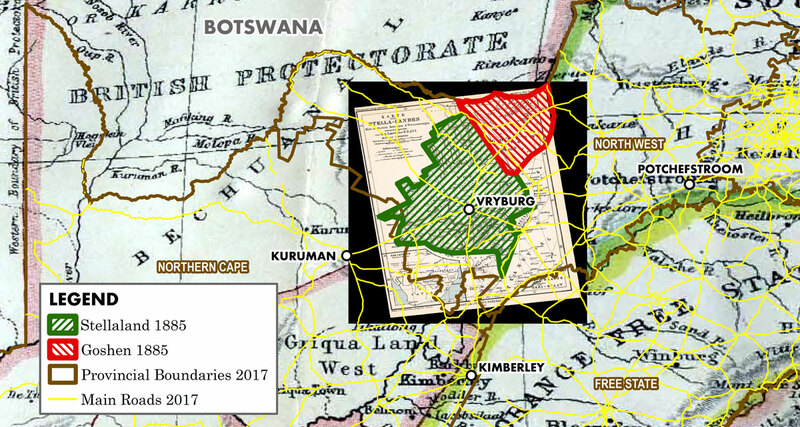 Recently we came across a beautifully drawn historical map of one of South Africa’s lesser known former Boer Republics, ‘Stellaland’, located in the North West Province. We were curious to see if we could find any traces of it in some of today’s boundary data for the area. 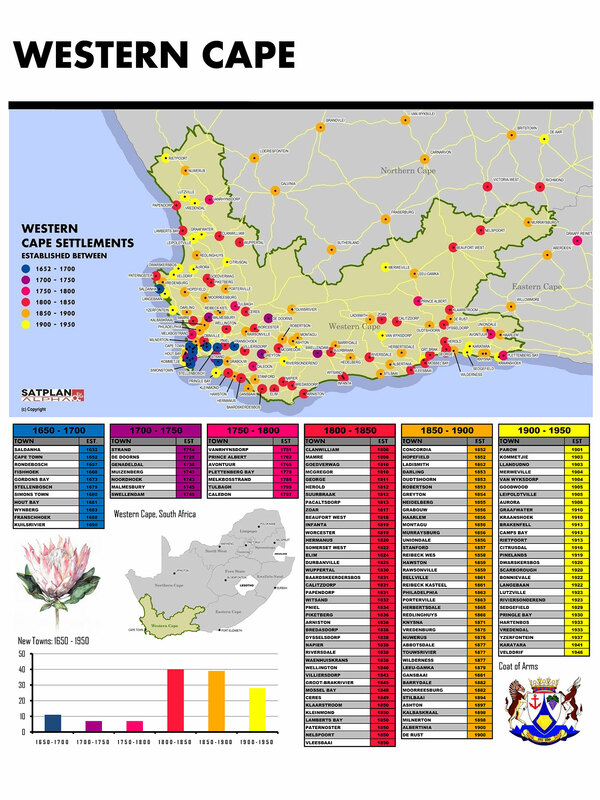 The 1800s saw waves of inland migration of Dutch speaking inhabitants from the Cape. This is generally referred to as the ‘Great Trek’. Fuelled in part by resistance to language and slavery laws of the British Cape Colony, groups of ‘trekkers’ (some numbering in their hundreds) sought freedom outside of British control. This phase of mass migration was a period of great social upheaval in South Africa. Tussles for land, labour and resources would set the stage for some of South Africa’s most notorious conflicts; The Boer-Zulu War (1838), the Basotho Wars (1858-1868), and ultimately the Anglo-Boer Wars (now referred to as the ‘South African War’) (1899-1902). As various trekker parties settled across the country, some went as far as declaring their new found lands as ‘independent republics’. By 1884, up to 7 Boer Republics had been established across large parts of the South African interior. One such republic was Stellaland, centered on its capital, Vryburg. 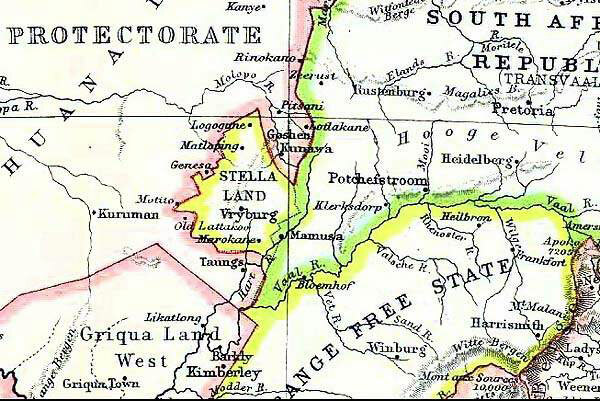 Stellaland was situated in a fringe zone of the former British Bechuanaland protectorate. 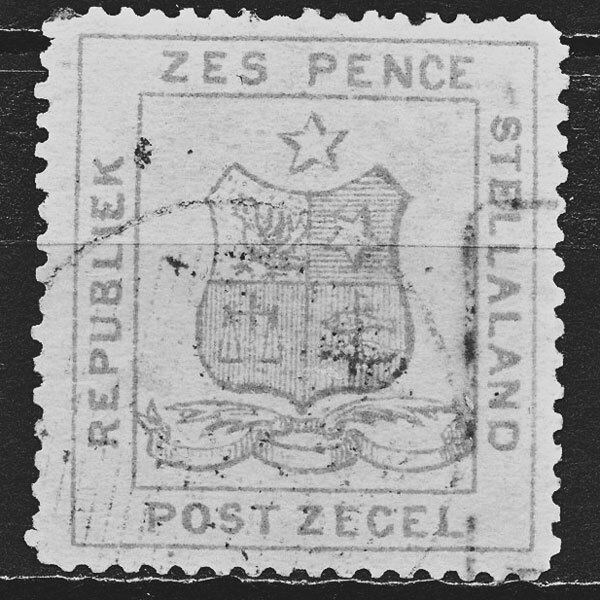 After being declared a republic in 1882, Stellaland was soon incorporated with the neighbouring State of Goshen in 1883 to form the ‘United States of Stellaland’. This was a fragile time in South African history. Tensions between the Boers and the British were on the rise following the discovery of gold in Johannesburg in 1884, prompting British efforts to take total control of the territory and its resources. 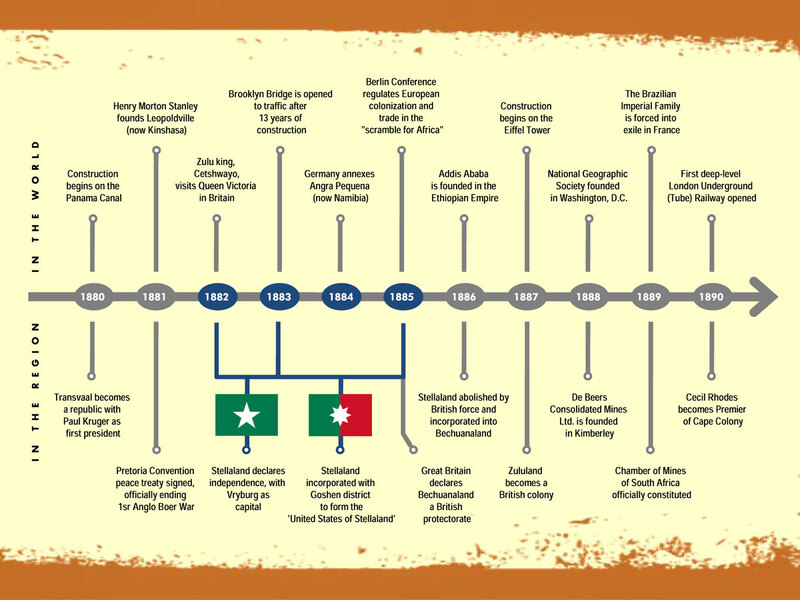 We have put together an events timeline of the decade 1880-1890 to help with some historical context. Additional background on the history of United States of Stellaland can be found here. Being situated on one of Kimberley’s major supply routes, Stellaland would eventually find itself in the crosshairs. Combined with fears of further Boer expansionism in the area, the British quickly took to abolish the United States of Stellaland in 1886 by force and incorporate it into British Bechuanaland. History aside for a moment, is there any evidence of the United States of Stellaland in today’s farm boundaries? To help answer this question, we georectified old maps of Stellaland and Goshen to create a map layer of their boundaries. This layer was overlaid with farm boundary data to look for any correlation. Despite the unavoidable warp of the historical boundaries due to projection differences between old and new data, we found some interesting patterns that may point to correlations in some areas. It’s interesting that parts of the United States of Stellaland could still possibly linger having been dissolved over 130 years ago. 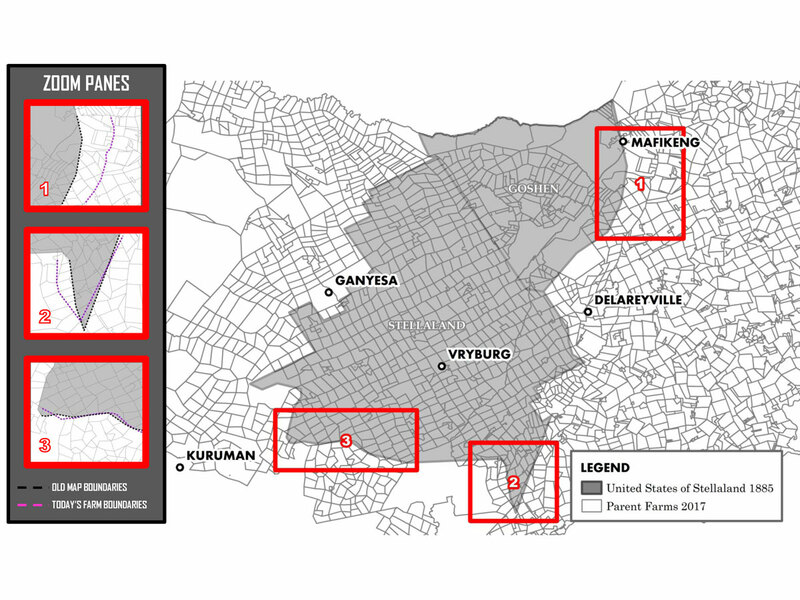 The initial surveys of Stellaland and Goshen were probably some of the first ‘formal’ demarcations of their kind in the area i.e. recorded through some form of diagram/deed. This could probably make it more likely that hints of their edges would find their way into farm boundaries of today. South Africa is actually littered with old boundary relics, from long forgotten Boer Republics to former apartheid group areas and tribal homelands. Some of these historical boundaries have a more prominent legacy than others. Some continue to exert themselves as enforcers of an old order. The United States of Stellaland may be a trivial case in point compared to others. The value lies in understanding space as a stage where boundaries can accumulate and wane over time. Whatever impact this may or may not have on development in the region is a discussion for another day. What is important to note it is the potential longevity of the lines we draw across the land, for better and for worse. In the journey towards a new South African spatial geography, knowing history is a head start towards planning for the future.